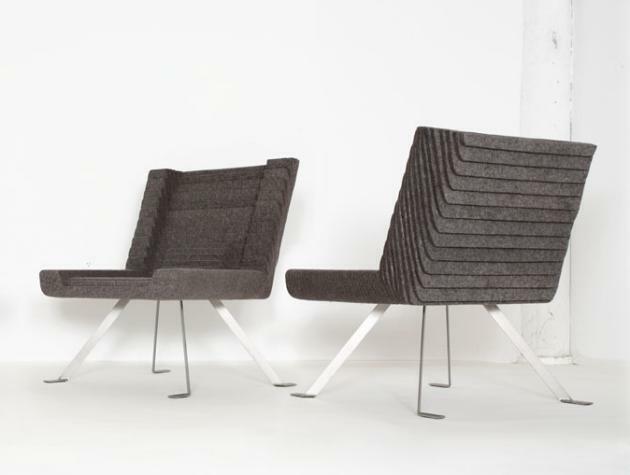 Brooklyn based designer Ben K. Mickus has sent us an email to let us know that his Relief Chair will make its world debut at the Cooper-Hewitt National Museum of Design, in New York, this Friday, March 6th, as part of the “Fashioning Felt” exhibition. This exhibition will explore the varied new uses of felt in contemporary design. 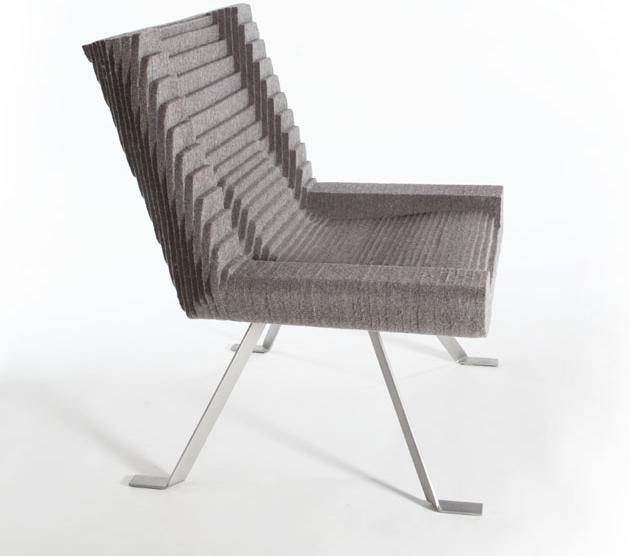 The chair is a sculpted assembly of rapidly-renewable felt sheets, supplanting foams, upholstery and anything applied. 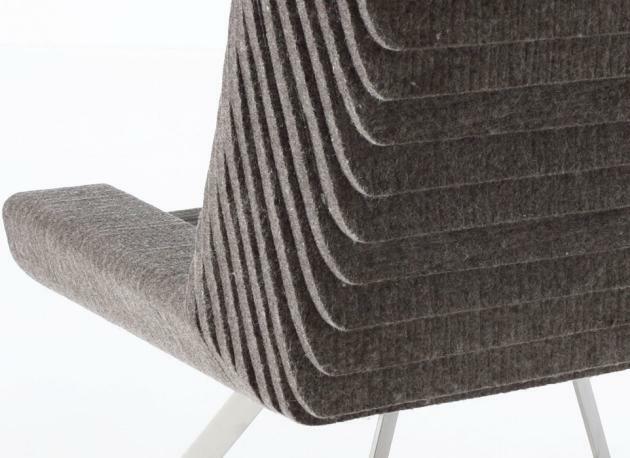 The cascading edges of the felt sheets create an integral pattern with both a visual and tactile effect. 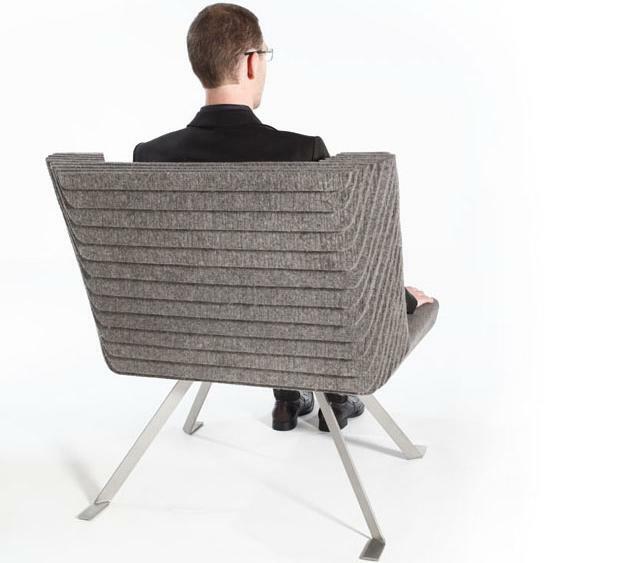 The Relief Chair’s contours invite the user to sit back and relax. 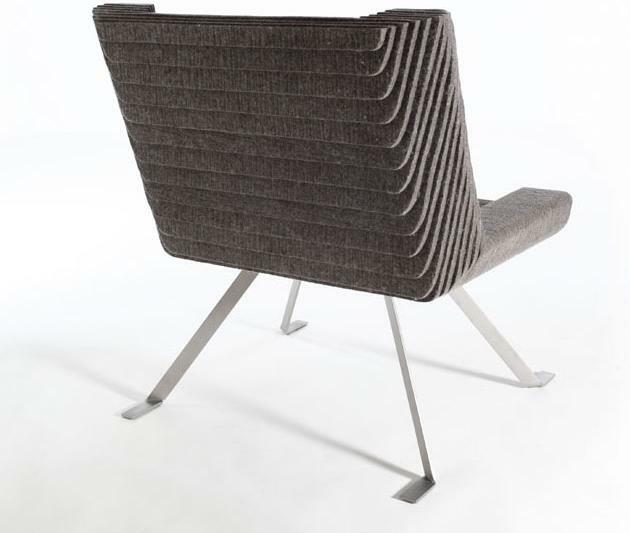 The body of the chair is a layered assembly of medium-density wool felt sheets, adhered to each other and sleeved over an internal steel frame. 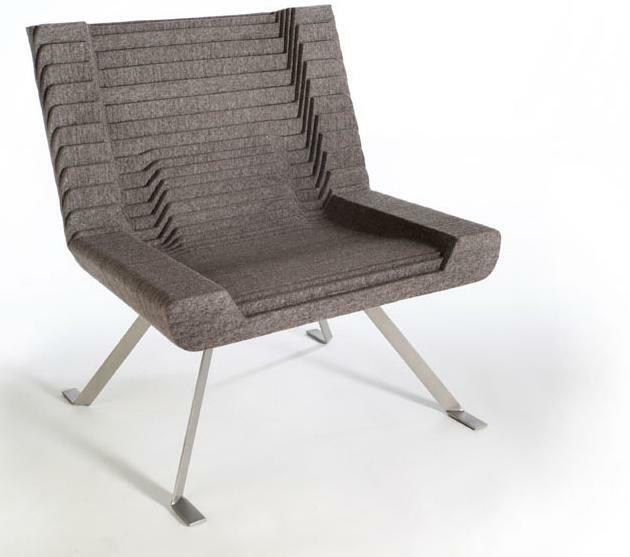 The felt body and frame rest on break-formed stainless steel legs, with a satin finish. The composition juxtaposes weight and weightlessness with an intrepid stance. The chair makes a statement in any room or lounge. Visit the website of Ben K. Mickus – here.